These maps should be used as a guide only and should not be used for making treatment decisions. 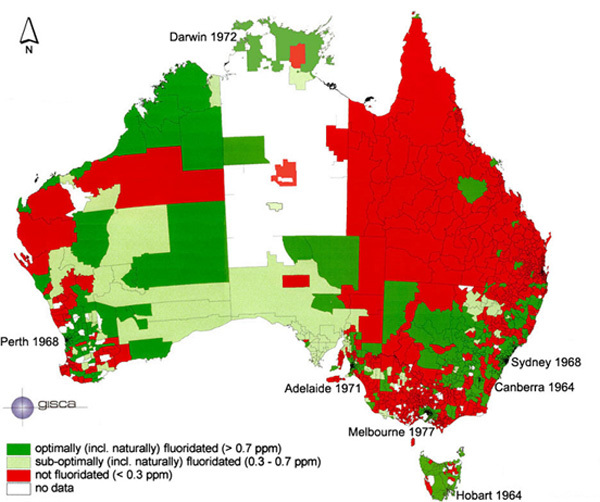 Fluoride in the water may vary within postcodes, especially in some rural and remote areas. 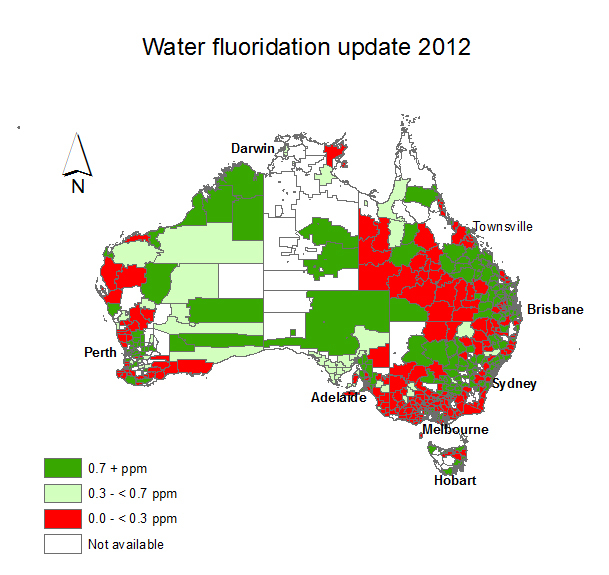 Click on the State or Territory where you live on 2012 map to check the water fluoridation level against your postcode.